Abranet is a revolutionary product for vacuum-assisted sanding operations. The new, patented disc will fundamentally change your work environment. Aluminum Oxide - durable and long lasting. Thousands of small holes for dust free sanding with vacuum assist. Designed as a non-aggressive finishing system, the wavy edge design of the Wave sanding discs eliminates the ridges frequently caused by traditional round discs while producing an excellent finish. "Fingers" around the disc gently blend surfaces in trouble areas where stationary sanding is required. 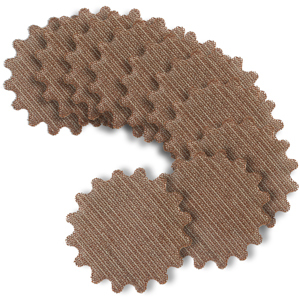 Wave backing pads support the entire surface of the disc by matching the profile of the disc. Hook & Loop. Sanding Stars are the ideal tools for sanding very contoured or profiled wood or metal parts. 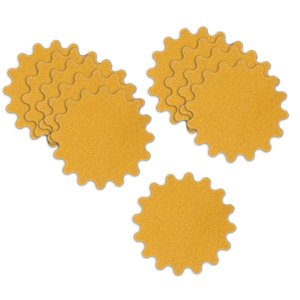 The Sanding Stars are made from a very flexible cloth-backed material making them perfect for finish sanding. 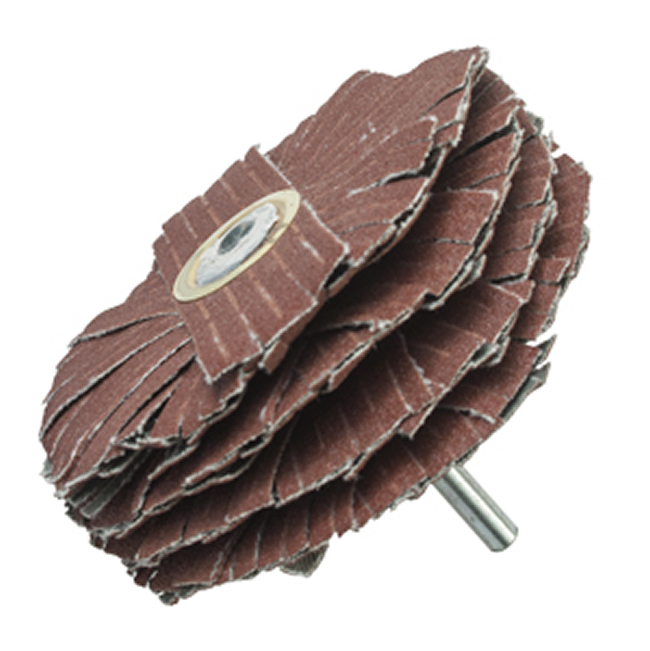 Sand contoured and flat surfaces, raised panels, moldings, turnings or carvings with these industrial abrasive sanding stars. Deburring raised grain is possible without destroying the intricate features of a work piece. Sanding Stars are 1/4" Shanks. Rated at 3,200 RPM maximum.